Radical new Japanese style Fujiya-inn. Among old Taisho era buildings, Fujiya inn, which is famous for it’s American Okami, Jinny-san, was rebuilt three years ago into a radical new Japanese style . Our suite had three parts; wood, tatami mat, and stone floors. A bath tub is in the middle of the room with the town view! Other than that, Fujiya has 5 private natural hot spring baths including an open-air bath, bamboo bath and others. Above all, their Japanese style dinner and hospitality are fabulous. 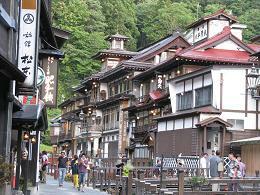 Ginzan Onsen, the model of "Spirited away." 心身休める　rest both the body and the spirit. GinzanOnsen is an onsen (hot spring) area in Yamagata, Japan. There were many old buildings from Taisho era (1912 -1926) and it became nationally famous as the setting for the television drama Oshin and also one of the onsen inns became the model of the onsen inn in Hayao Miyazaki’s film “Spirited away.” In the nostalgic environment, I could rest both the body and the spirit while taking a bath in the hot spring. Here you can enjoy some of his photos and writings on his blog. 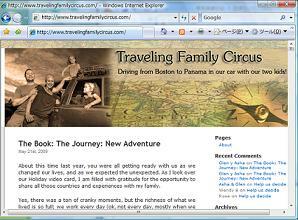 The photos are fantastic, his wife is beautiful and girls are cute! 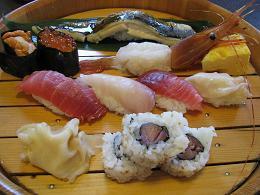 I had a lunch meeting with Kato-san of D publishing.I chose the salmon lunch specialty today. At first, I enjoyed the white and doughy rice with grilled salmon, and then I enjoyed Ochazuke, rice topped with salmon and sea weed and eaten with fish soup. Mmmmm, it’s yum. Right across 246 Ave. from the Spiral hall to the Omotesando side and one block behind 246 Ave., there is a tiny Japanese restaurant in the underground. Always there is a line in front of the cafe because of the popularity. Today I had a meeting about a book with Sato-san of T publishing. 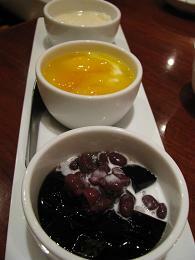 What I chose was some medical herb jello, almond tofu jelly with mango jam. It came with steamed sponge cake. We enjoyed the meeting over the delicious sweets. Tocho is located on 246 Ave. Walking toward Aoyama ichome from Omotesando, you’ll find the café on the left side. They were an irresistible attraction when I was a kid and they still are. 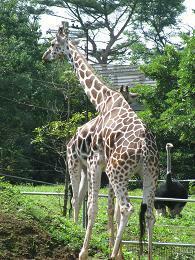 The most popular animals; such as giraffes, elephants and ostriches were in the African Zone. They walked around freely and easily. It’s fun to go to the Zoo once in a while. 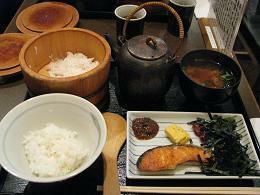 Fish and rice are delicious in Tohoku.The low fishes still retain freshness and the sweetness spreads into the mouth. Especially the Botan shrimp was yum. 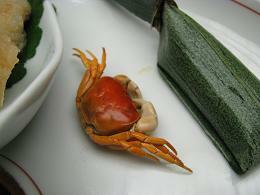 I just had sushi and left quickly from the unpretentious sushi restaurant. Everything was very simple and good! I was killing time at café Limapuluh for 30 minutes until the next meeting. The Honey café latte I ordered was really artistic. A pattern is illustrated on the foamed milk with honey. The taste was sweet, milky and bitter. It was a bit expensive but worth every drop. 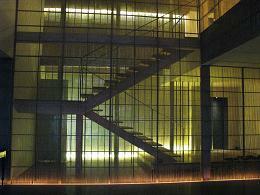 Limapuluh is located at Aoyama patio that is close to Omotesando and 246 crossing. 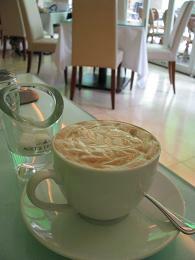 Honey café latte is served with a big cup and costs 850 yen. I feel like summer forgot to take it’s tiny belongings with it.